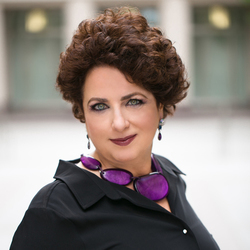 As part of our pre-show interviews, I have interviewed Jill Lublin whose Influencer Marketing Days 2017 session will be help influencers learn how to “stand out, be heard, and be seen like never before.” Below you may see her answers to my questions. Jill: I am an international speaker on the topics of Radical Influence, Publicity, Networking, Kindness, and Referrals. I am the author of 4 bestselling books including Get Noticed… Get Referrals, Guerrilla Publicity, Networking Magic and the latest publication, The Profit of Kindness. I am excited to share my 20 years’ experience in “Radical Influence” strategies at Influencer Marketing Days. Jill: It always comes down to standing out! Visibility alongside influence is the key. Jill: It is important to keep marketing as an essential and ongoing part of weekly focus. You must have replicatable strategies in place. Jill: People will know your name. Relationships are cemented and trust is built more quickly. Jill: Of course, guerrilla publicity – which gives immediate focus to the activities which provide big results using little to no budget. Jill: I will give attendees quick easy solutions to their marketing issues with simple yet powerful strategies they can implement immediately in order to see results. Jill: For advertisers – create a memorable recognition activity or slogan. For influencers – be consistent and persistent on your marketing so that people remember your name! You might get bored with it but your audience is just catching on! !